One of the best parts of staying in a beautiful beach destination like Krabi is all the wonderful water sports and island excursions you can take part in. 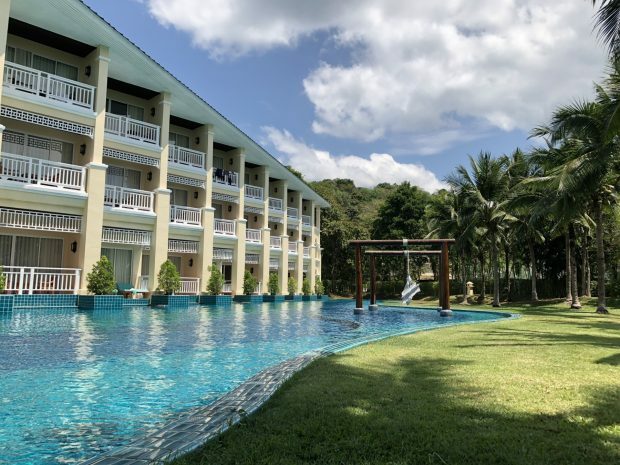 Sofitel Krabi Phokeethra Golf & Spa Resort’s location along the Andaman coast in southern Thailand gives it ample natural beauty, with lush, green islands in the distance, white beaches and sparkling blue ocean. From windsurfing and boat-sailing to kayaking and paddle boarding, Sofitel Krabi offers the very best of water sports to make your stay even more memorable. Windsurfing boats, kayaks, paddleboards and sailboats are all available for hourly rental. The resort also offers windsurfing and boat-sailing lessons for those who are curious to give it a shot. On top of this, guests can also try their hand at some fishing, take a kayak to explore the untouched beauty of the nearby Koh Kwang island, or participate in a snorkelling lesson in the largest freeform swimming pool in Thailand. It doesn’t matter what you’re after, Sofitel Krabi is here to make your stay the most enjoyable. Put your fishing skills to the test and enjoy a unique Krabi experience, by kayak. Guests will meet in front of the resort and partake in casual fishing for an hour. Open to both adults and children, guests can join this free hour-long lesson at the resort’s vast swimming pool. Interested participants should meet at the Pool Bar. Want to explore a whole island by kayak? We let you do just that with their exclusive island tour which takes an hour to complete. Try your hand at windsailing and boat-sailing, with lessons from qualified staff members. Kayaks are also available for half-day rental.